For 2015 the Thirsties have decided to put more emphasis on documenting the dynamic and burgeoning Wellington craft beer scene more widely. 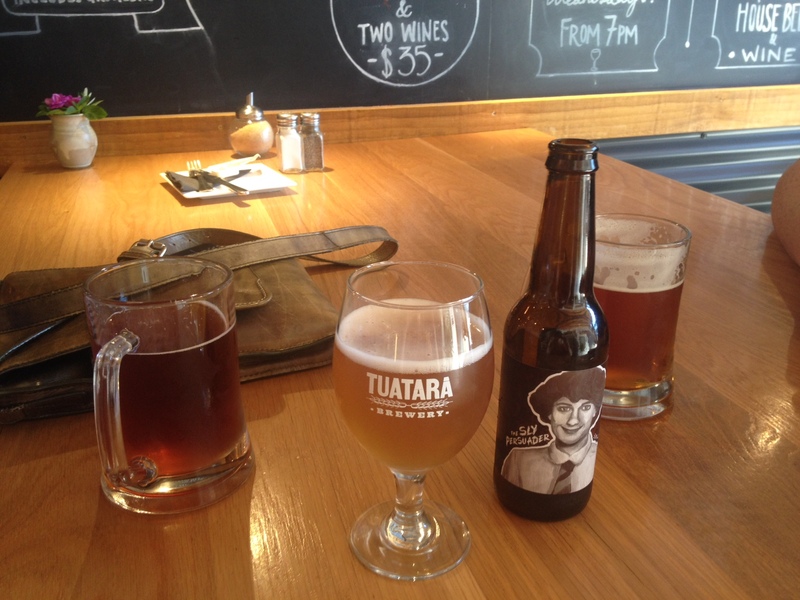 To that end, we will be publishing occasional mini-reviews of bars in and around Wellington (New Zealand). Our first trial stop, at the end of 2014, was Crafters & Co.
Crafters & Co is located ‘off the beaten track’ in the soon-to-be upgraded desert lands of upper Victoria Street. A bit like the Tardis, it’s bigger and more sophisticated than it looks from the outside, and well worth a visit. BEER SELECTION: 11 taps plus a walk in fridge crammed full of bottles. Crafters stock a wide selection, with an emphasis on Wellington regional brewers, including Garage Project, Pan Head and Tuatara. 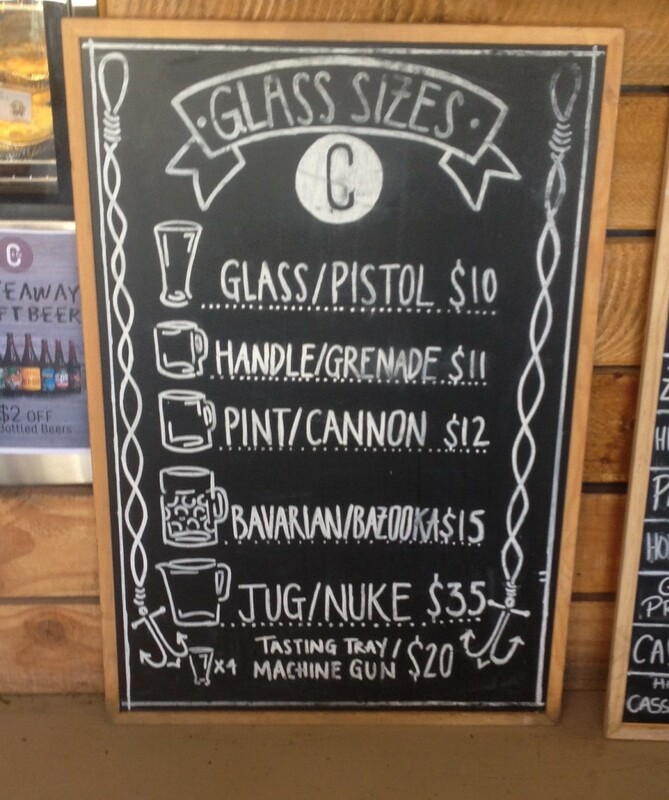 Crafters offer glass sizes from seven oz (pistol) to a Bavarian (bazooka). FOOD: Punters can indulge in a range of quality baked goods including cakes and Siggy’s pies, or order from the menu, which includes brioche burgers. Thursday is paella night. (Warning: to Malice’s quiet outrage his cheese scone was served sans jam, however, some of us don’t believe that cheese scones should come with jam). 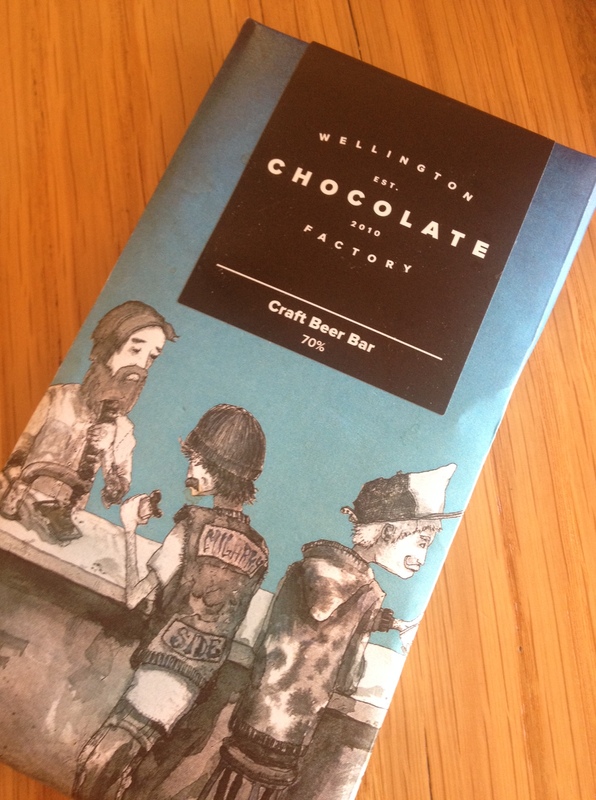 For those needing to buy a gift on the way home, Crafters stock a range of local artisanal products including WCF Chocolate, Fix and Fogg peanut butter and moustache wax. AMBIANCE: a sun-dappled interior in which kegs, maritime memorabilia, bunches of flowers and a showy wooden ceiling happily mix. The café bar features three ambient spaces to suit everything from an intimate date to a group gathering. 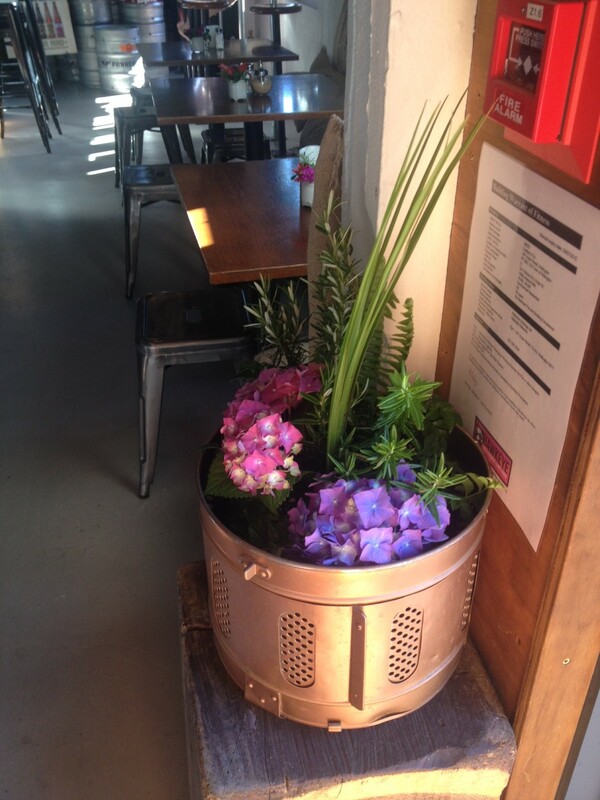 Cottage flowers, possibly a unique feature on the Wellington craft beer scene. DISTINGUISHING FEATURES: operates as an off-licence and doubles as an entrance into Mokomuseum, the national tattoo museum of New Zealand. There is also a door to The Occasional Brewer if you fancy making your own beer rather than simply buying one. SERVICE: Young, friendly, helpful and beer wise beyond their years. THIS IS THE TYPE OF PLACE YOU DRINK AT WHEN: you knock off early from work for Christmas on a rare beautiful Wellington summer’s day and want to escape Courtenay Place. CRAFTERS & CO: a very welcome little enclave of Portlandia on the No.7 bus route to Brooklyn. A glass of Sly Persuader from the Yeastie Boys’ Spoonbender series with Some Young Punks. HOURS: 8am-12am Sunday to Thursday, 8am-3am Friday-Saturday.